If you are travelling to Costa Rica and looking for a place to stay we highly recommend the individual Eco-lodge Costa-Rica Sámara. Because this hotel lodge with it’s chilled costarican atmosphere will make you speechless. You can find it in the tropical nature paradise Guanacaste. With easy access to nearby attractions. Besides that vacations in Costa Rica are getting more and more popular. Due to the pristine nature with their exotic animals and their beautiful lonely beaches. Open and friendly people welcome you here. Easter is upon us and we have only a few accommodations left. So reserve quickly with us! We look forward to seeing you. From april 2019 on the internship is free. You`re interested? Just contact us, very easy and relaxed. We would be happy to hear from you! Costa Rica Vacation in the vicinity of Samara, on the Pacific coast of the Nicoya Peninsula. Stay at the Costa Rica Hotel Paraiso del Cocodrilo with German Management. Surrounded by palm trees and flowers you will find here a peaceful vacation in a true oasis of comfort. We offer you comfortable apartments, rooms, a big diversity of breakfasts. On top of those first-class dinners, a refreshing swimming pool, a cocktail bar. Welcoming with an abundance of information is waiting for you. Oh, how nice the weather is here in Guanacaste. After the summer spoiled us over the holidays, it continues exactly the same way into the new week: The daily maximum temperature is 33° C, but it feels like a pleasant 30° C. Again and again, it can some clouds can appear in the sky. It blows a light breeze of 19 km / h. The UV index has decreased and is at a 7. The water temperature remains at 29 ° C. The waves have lost altitude. Their significant height is 0.3 m. However, most of them are smaller. So let’s have some fun in the water! Today there is very low fish activity. Maybe you just leave your fishing rod at home and enjoy the day relaxing on the beach under the palm trees. 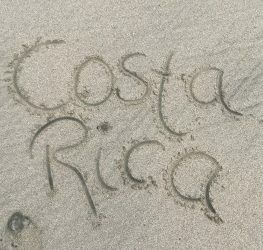 we hope you enjoyed your stay at the Eco Lodge Costa Rica, Sámara! Your opinion and criticism are relevant to us – therefore we are pleased about your suggestions and wishes as well as about your holiday impressions and experiences in our guestbook and of course we look forward to seeing you again. wir hoffen Ihr Aufenthalt bei uns in der Eco Lodge Costa Rica, Sámara hat Ihnen gefallen! Ihre Meinung und Kritik sind uns wichtig – daher freuen wir uns über Ihre Anregungen und Wünsche genauso wie über ihre Urlaubsimpressionen und Erlebnisse in unserem Gästebuch und natürlich freuen wir uns auch auf ein Wiedersehen bei uns. As the name says: this hotel is a real paradise! It`s perfect to just relax and calm down, it was especially good for me after a very stressful time at home and everything. But in the hotel „Paraiso del Cocodrilo“ you just have time. Chill at the pool, visit the near beach or enjoy an exotic drink or two in the hotel restaurant. Which also offers delicious meals that are totally organic. I asked because that`s very important for me. Everybody is very friendly and helpful, it`s a very comforting atmosphere. It`s unbelieveable how much nature you can enjoy during your visit. The hotel is in the midst of jungle, with all differnt kinds of birds, monkeys, rakoons, lizards,...it`s just amazing! Exactly what I was looking for! Thanks for the great time! Beautiful hotel in Costa Rica We are a family with two small children (2 and 4 years old). For us the accommodation was perfect. We had the huge apartment incl. kitchen. Sometimes we also ate in the restaurant in the evening, super natural food. Many dishes are organic. We were at different beaches, Buena Vista and Barrigona, and all were practically deserted. For the kids the sea is problematic on some days, because it had mostly strong waves. But the pool was all the better for them. We saw more animals here than in the national parks. Highly recommended for families! 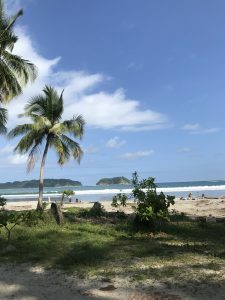 Schönstes Hotel Costa Ricas meiner Meinung nach! Die Anlage liegt in mitten der Natur und somit ist man sehr nahe an der Tierwelt. Im Restaurant der Eco Lodge Samara gibt es sehr leckeres Essen und super Smoothies Hotel mit deutscher Leitung. Sehr zu empfehlen. Komme gern wieder! War das erste Mal 2006 im Paraiso del Cocodrilo und bin seitdem immer wieder gekommen. Für Naturliebhaber ist das Hotel eine klare Empfehlung.